We are involved in manufacturing of Storage And Handling Crates which are widely used for products of different weights. These are manufactured using superior quality material as per the industrial standards and are provided to the clients in customized specifications as per their requirements. 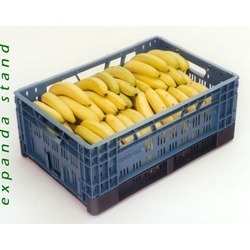 Our range of storage crates can increase efficiency in one way packaging. Foldable Crates has been designed and built for efficient packing and transport in supply chain industries. Today, all supply chain companies, are demanding lower costs from each of their suppliers as competition increases. Hence these returnable and reusable foldable crates crates not only offers reduced cost, but also increased efficiency in one way packaging.